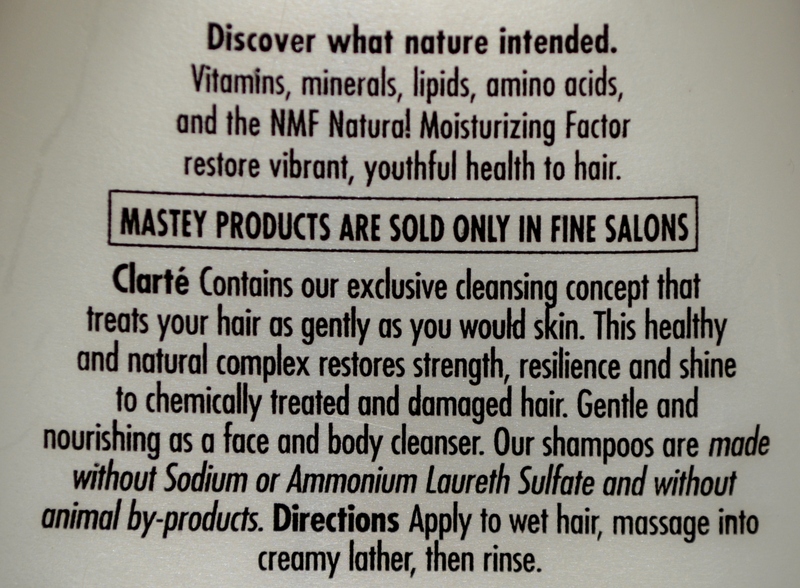 Mastey Clarte Reconstructing Creme Shampoo, Sulfate free, For bleached and damaged hair. Discover what nature intended. Vitamins, minerals, lipids, amino acids, and the NMF Natural Moisturizing Factor restore vibrant, youthful health to hair. Clarte - Contains our exclusive cleansing concept that treats your hair as gently as you would skin. This healthy and natural complex restores strength, resilience and shine to chemically treated and damaged hair. Gentile and nourishing as a face and body cleanser. Our shampoos are made without Sodium or Ammonium Laureth Sulfate and without animal by-products.